Credit Karma Review - Free Credit Monitoring and More! Credit Karma is one of our favorite tools for monitoring your credit score and financial health. Your credit score is one of the key indicators of your financial health. If you aren’t staying on top of your credit, you could be paying too much interest on your loans or overpaying for insurance. Thankfully, with Credit Karma you can get free credit scores, free credit reports and more. Will Credit Karma Keep My Information Safe? Should I Use Credit Karma To Track My Credit? Credit Karma started out as an online credit monitoring site, but it offers much more than just credit score monitoring. This is a list of a few of the resources users can access for free at Credit Karma. Free credit monitoring is Credit Karma’s flagship feature. It offers free snapshots of your Vantage 3.0 credit score. Users can also access their entire credit report from Transunion and Equifax. The credit reports are laid out so that you can dig into the credit score factors (such as hard credit inquiries, accounts in collections, payment history, etc. 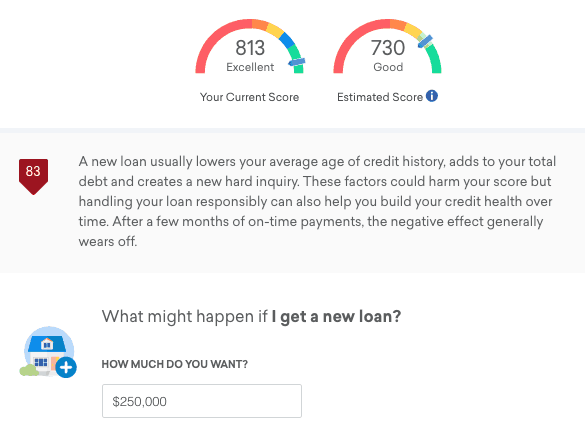 If you’ve ever struggled with your credit score, Credit Karma makes it very easy to figure out what you need to do to fix your credit. In addition to showing your credit score, Credit Karma has a credit score simulation tool. The tool helps you consider “what if” scenarios. For example, what will happen to my credit score if I take out a $250,000 mortgage. In my case, the answer is that my credit score falls to 730. However, Credit Karma explains that the negative effect of the new loan wears off over time. You can also use this tool to see how your credit score will fare if you start to carry a balance on your credit card. For example, if you use a 0% credit card to pay $3000 for roof repairs, what will happen to your credit score? The primary way that Credit Karma makes money is by referring people to lenders. Using Credit Karma’s loan marketplace, you can compare credit cards, personal loans, auto loans and more. If you start an application for a loan from Credit Karma’s marketplace, Credit Karma will earn a commission. Overall, the Credit Card marketplace had some good cards, but people who travel hack will be disappointed by the overall collection. 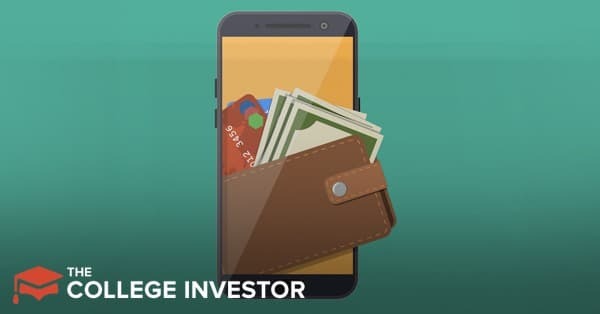 If you’re simply looking for a good card with a low interest rate or decent cash back potential, Credit Karma will help you find the right card. One of Credit Karma’s newest features is a home buying section. Credit Karma allows users to input their income and savings to generate a “home buying power” estimator. This shows the MAXIMUM amount you’re likely to be approved for if you take out a mortgage. While it’s helpful to see this, it’s important to note that you should set your own budget when shopping for a home. In our case, Credit Karma estimates that we could carry a $3200 monthly mortgage payment. However, when I consider my childcare costs and the fact that we pay for our health insurance, the $3200 is outrageously high. Although the estimates may be too generous, Credit Karma’s home buying center is still useful. Users can explore interest rates on mortgages, and even apply for loan pre-approval from one of Credit Karma’s partners. Credit Karma also offers tax software. It is entirely free for state and federal filing. 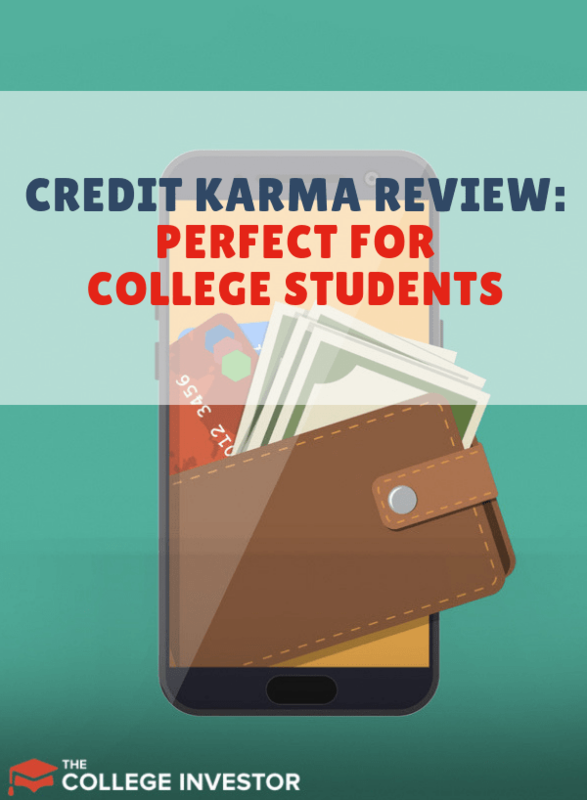 You can read the full Credit Karma Tax review here. Credit Karma is really 100% free to use. However, Credit Karma uses its platform to refer people to lenders. It earns a commission when users apply for a loan from the site. It’s important to remember that Credit Karma uses financial health as a way of marketing financial products. If you’re struggling financially, you probably should not apply for new credit cards until you can consistently earn more than you spend. When you join Credit Karma, you provide your social security number, and all your credit information. Whenever you enter that information to a website, you increase the likelihood that you’ll become a victim of identity theft. Unfortunately, if you plan to operate within the framework of the modern financial system, you’re at risk of digital identity theft anyhow. Nobody can keep their information 100% safe. That said, Credit Karma uses bank level security including 128-bit information encryption and read only access to your information. The real concern for most people is not whether their data is safe, but how Credit Karma will use their information. Credit Karma doesn’t sell information, but they use your financial data to recommend products and services to you. When users apply for a loan from the platform, Credit Karma passes the information to the bank. CreditKarma will not sell your private information, but they will use it. They use your information to recommend products and services that might interest you. If you choose to apply for a loan or a credit card CreditKarma will pass your information to the bank. Credit Karma is my favorite tool for tracking my credit score. It’s got a great user interface, and the interface is loaded with extras that make getting your credit score in shape easy. While there are tons of other credit scoring tools, Credit Karma is still my top recommendation if you’re not getting a free score somewhere else.